Traces of fracking chemicals found in Pennsylvania drinking water. A drilling rig explores the Marcellus Shale outside the town of Waynesburg, PA on April 13, 2012. A study released Monday on a rural Pennsylvania county’s drinking water found traces of toxic fluids used in the controversial oil and gas drilling technique, fracking. 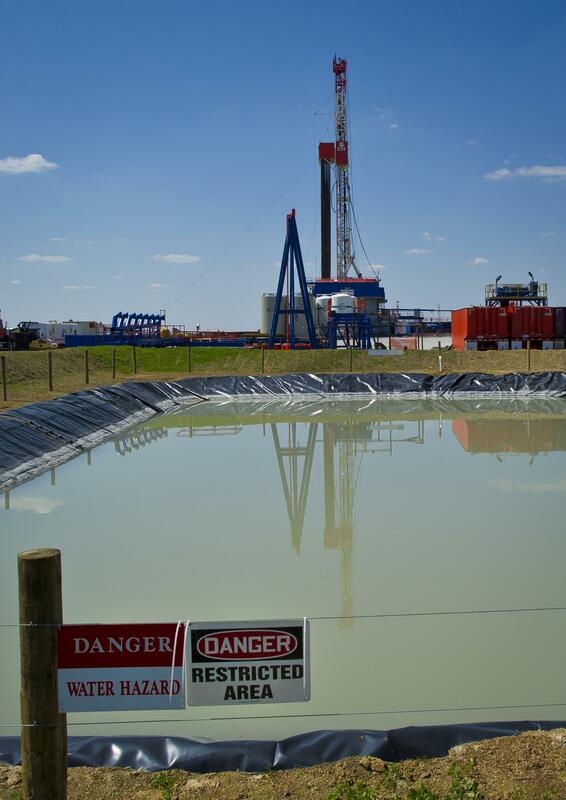 The study, published in the science journal Proceedings of the National Academy of Sciences, tackles head on the fear that fracking could contaminate the water supply. “‘This is the first documented and published demonstration of toxic compounds escaping from uncased boreholes in shale gas wells and moving long distances’ into drinking water,” Susan Brantley, one of the study’s authors, told the Associated Press. Researchers did not implicate the fracking technique itself. Hydraulic fracturing, or fracking, involves the high-pressure injection of millions of gallons of water, along with sand and chemical additives, deep underground to break apart shale rock and free the gas trapped inside it… The tainted water in the residential wells almost certainly did not migrate upward from the Marcellus — a rock formation more than a mile underground — after fracking, Brantley said. The fluid did not contain a high level of salt, a signature of fracking wastewater. Instead, it’s likely that drilling fluid escaped the borehole while crews were first drilling the gas well, Brantley and Yoxtheimer said. Another possibility, though one the researchers consider less likely, is that it stemmed from a leaky drilling waste pit.